When a hybrid club is in your hands, it’s time to pull off the incredible. 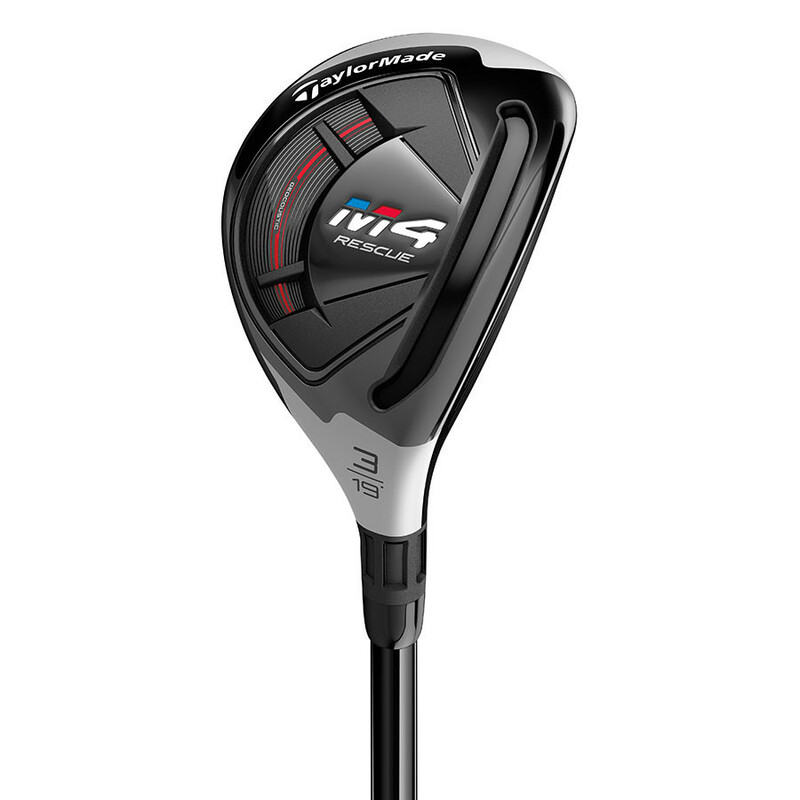 The 2018 M4 Rescue combines TaylorMade technologies with a playable shape, so you can execute under pressure and enter the clubhouse with a story. DIVIDE AND CONQUER THE COURSE M4 Rescue has been designed with split internal weights that increase forgiveness and promote more ballspeed across the face—helping golfers find the center cut with greater consistency. SPEED POCKET Speed Pocket technology preserves ballspeed on low-face shots, providing added forgiveness and consistent distance. GEOCOUSTIC Geocousit technology enhances the playability and feel of the M4 Rescue, delivering exceptional shotmaking ability from any lie.